Kindergarten and early readers. Easy crossword puzzles for kids with large squares, simple words, easy clues and colorful pictures. Most puzzles include a word list to help with spelling. May require some parent assistance. All About Pets Fun crossword to do with super easy clues. Fruits Picture Crossword This is a fun picture crossword we found on English-4kids.com. Halloween Crossword #1 Trick or Treat! Fun Halloween puzzle with answer key. Grades 2 thru 5. For kids gaining confidence. Slightly smaller grid, increased vocabulary, and more clues to solve. 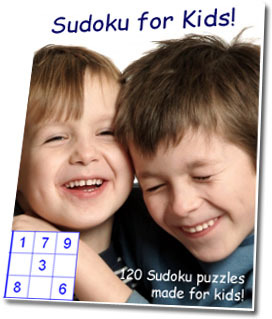 Themes are still age-appropriate and puzzles include colorful pictures. Halloween Crossword Puzzle from Halloween Party Games. Solution can be found here. Halloween Crossword #2 Another spooky entry from Puzzle Mom. Minecraft Crossword Puzzle Jeepers creepers! It's a Minecraft puzzle! Happy spawning! My Little Pony My Little Pony crossword puzzle with all your favorites from Friendship is Magic series. Spooky Crossword Puzzle Halloween crossword puzzle from Family Fun Shop. USA Capital Cities And what about the United States - how well do you know all 50 capital cities? Grade 6+. Hard puzzles for kids that want to be more challenged. These puzzles look similar to the adult versions found in newspapers or magazines but with age-appropriate themes and topics. Halloween Crossword Puzzle Rated "Difficult" from Halloween Party Games. Click here for solution. Halloween Crossword (Hard) You might need a dictionary for this one. From Halloween Party Games. Click here for solution. Squiggly's Halloween Crossword This is a pretty tough puzzle from Squiggly's Playhouse. I hope it doesn't SCARE you off! Techozoic 2.1.1 by Jeremy Clark. | 45 mySQL queries in 0.375 seconds.